My cycling has seemed to have dropped off somewhat since moving to Manchester. A downside to moving away from the London Brompton Club perhaps as I’ve not found a club up here that I’ve fancied doing much riding with as it’s not quite as welcoming and social as the LBC has been. I think that also weekend training exercises with cadets isn’t helpful to getting rides in at the weekend either! However, this year I’m trying to get some more walking in as well - I’ve set a target that I should be averaging 10,000 steps a day for the year. I wanted to do the Walk 1000 Mile challenge but I thought that it would be easier to track steps. It helps that I’m undertaking the Lowland Expedition Leaders (LEL) award this year as well. As part of that, I’ve been looking at good excuses to get out and walking and explore my local area. Perhaps even get out more on the bike! Anyhow, I seem to have found a good excuse in the form of geocaching. I’d heard of geocaching before, but had never really investigated it. However, checking my Apple app download history, it seems that I first downloaded the app in September 2015, but it’s not been until December 2017 that I’d actually investigated it a bit further! I knew that it was a akin to a modern day treasure hunt but other than that, hadn’t investigated it - all I knew is that some of my old uni buddies would go off for weekends “geocaching”. 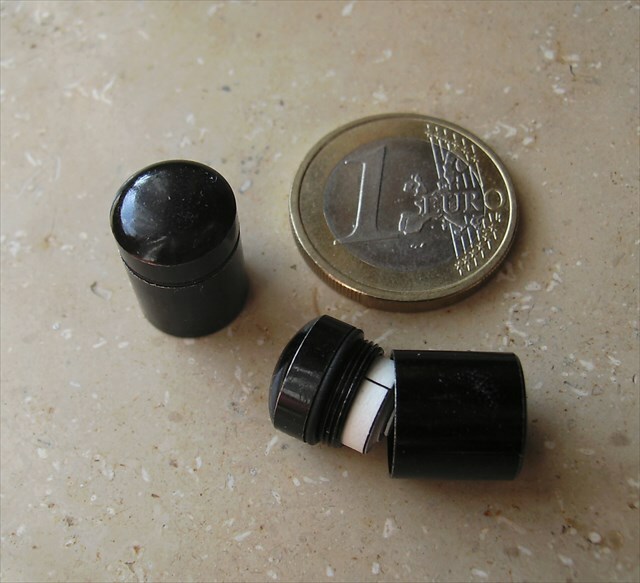 Geocaching is an outdoor recreational activity, in which participants use a Global Positioning System receiver or mobile device and other navigational techniques to hide and seek containers, called "geocaches" or "caches", at specific locations marked by coordinates all over the world. So after a bit of searching around the internet in December, I finally got out and about and managed to find my first cache. I didn’t really investigate geocaching or asking anyone about it, I jumped in (which is fairly rare for me!) It’s led to a few different issues (though that could be down to the UI design of the iOS geocaching app, rather than my poor knowledge!) However, not speaking to anyone about the “sport” hasn’t been a deal breaker for me. Since then, I’ve been out looking around the local area for them and have found a few in place that I’ve visited. As I’ve been doing it now for about six months, I’ve managed to find some caches across the UK (and to date, a single cache in Ireland). In fact, I’ve actively gone looking for caches in local areas to investigate whilst I’m visiting counties for work or pleasure, so I’m slowly trying to fill the map in! To date, it’s been a good reason to get out and about and explore areas I may not have explored otherwise. 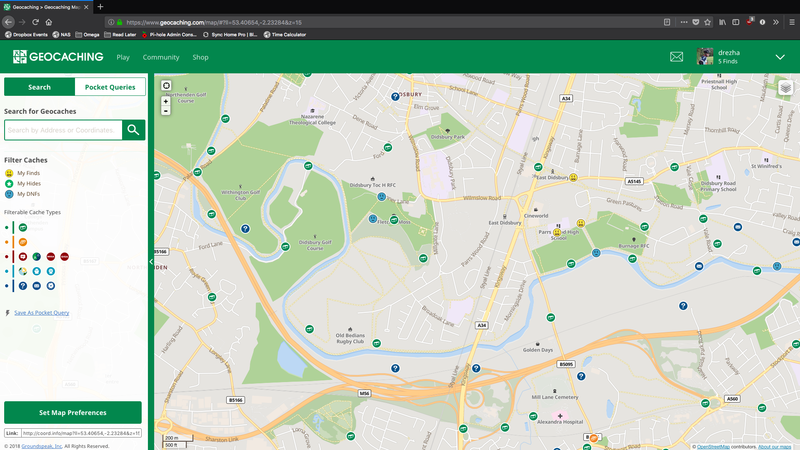 For example, I’ve found some nice green areas around Manchester that I might have ignored or not found other than accessing them to get a geocache! Now I know that they’re there, I’ll be sure to make use of them and visit when I’m not geocaching. There are different types of geocache available which keeps things interesting as well. The standard cache is the traditional cache. This usually consists of the logbook within a container, maybe with some items in to trade or take. These vary in size, between the nano container and the standard ammo tin! The next most common cache type that I’ve found is the Earthcache. These revolve around visiting a specific location and usually answering some questions on the location that you’re visiting. The questions are usually easy enough to answer but rely on actually be at the location in question to answer. These are pretty similar to virtual caches, so I’m not entirely sure what the main difference between the virtual cache and the Earthcache is but Earthcache’s are usually geology/geography related, whereas the virtual’s are themed about whatever. Then, there’s the Unknown cache type which requires some puzzling out before getting to the cache usually. These vary from crossword puzzles, to riddles and to random questions. They can be quite difficult but when you solve them and find the cache, it’s more rewarding. The Letterbox type is a traditional type but includes a stamp within the cache to stamp so you can stamp a booklet. There’s a number of cache types I’ve not yet found so I’ll have to find these as I go! Geocaching is free to take part in - just requiring an account on the Geocaching website. It also requires a smart phone that can run the geocaching app, though you can use a GPS device, such as the Garmin eTrex. However, to get the more difficult geocaches, a premium account is required. This costs about £25 for the year and so far has proven to be a worthwhile investment, as I’ve managed to find some interesting geocaches that are premium only. In terms of other costs, I’ve not had to splash out anything - I’ve got a smartphone and Geocaching has an app that allows you to interact with the site using just the smartphone. No need to have a paper map! However, whilst the Geocaching app is functional, there are better alternatives out there - I’ve downloaded and use Cachly which is a third party app, but it costs a small fee to download. It offers some enhanced features over the geocaching app and allows you to download offline maps and download caches to be found offline, ideal for those remote caches where there isn’t any signal. I’ve got an eTrex 20 for using whilst out on the hills hiking and I’ve found that it supports geocaching. I have to download the caches that I want to look for on to the GPS prior to going out looking, so it’s only any use where I know I want to go geocaching. That’s also a feature of the Premium account as you have to download the GPX file with the cache data. 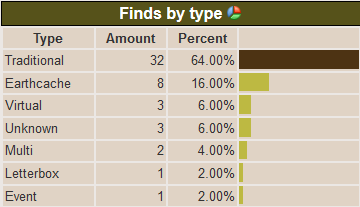 So far, I’ve managed to break the 50 finds mark - I’m looking forward to the next 50 now. It’s certainly helped me get out and achieve my 10,000 daily step count!